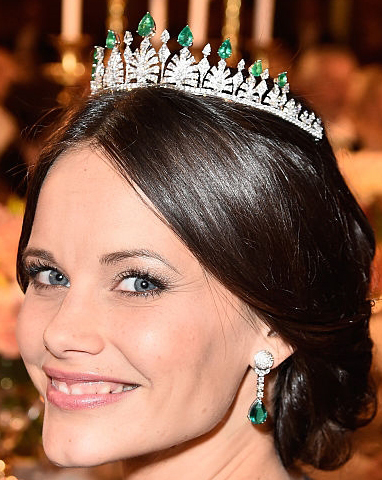 Creation: This tiara was made using gemstones that belonged to Queen Silvia. 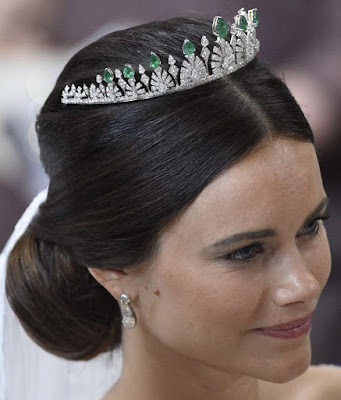 It can be worn on two different frames and with emeralds, diamonds, or pearls. I think this is a very pretty tiara and Sofia looked beautiful in it.